PEM Series Trucks have set the standard in 1:64 scale as one of the longest running lines of diecast collectibles. Sharp graphics and durability are all hallmarks of the brand and continue to make it one of the world's most collected replicas. Love it. I was very happy with the quality, details, finish and sturdiness of these trailers. I would buy some more witout hesitation. 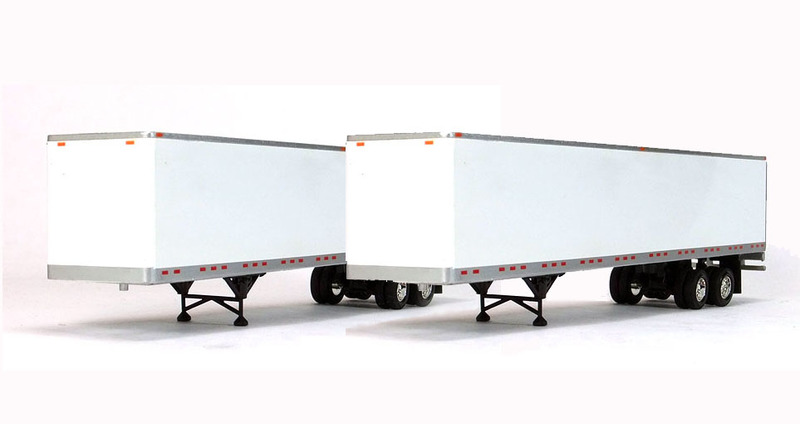 Nice looking trailers, fit correctly on trucks, and look perfect to scale.